Tommy Lay is that fantastic lapidarist who first made cabochons from our Dallasite. Now he’s made some more. I sent him some high grade Dallasite, or so we deem it. 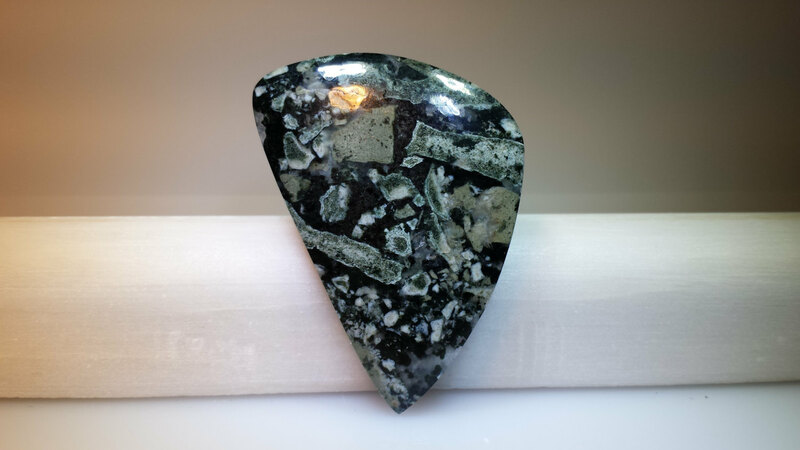 He wrote a nice review of the material on this rock forum and posted a couple of his cabochons so far. 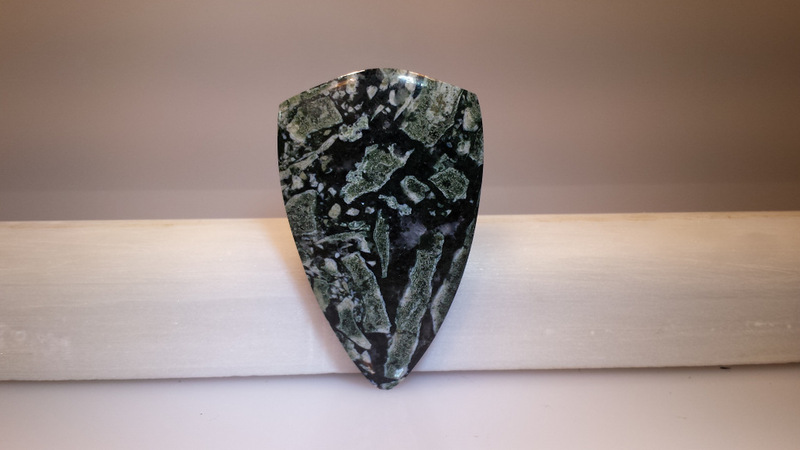 Dallasite shield cabochon by Tommy Lay. To me, the shield is really the signature form of Dallasite. I love the extra splashes of light green coming down the top left side of this cab. This is an interesting shape. I think I like it even more than the first. There is so much going on in here. The colours and design of Dallasite are pure artwork. This is kind of a busy, crazy piece of Dallasite. That last one is in his Etsy store. I can’t wait to see more of his work!